Some call it African daisy. It is a summer-flowering plant, normally used as an annual, with flowers like daisies that bloom in white, blue, lavender and shades of pink. Some kinds have a ring of contrasting color right around the yellow center. They like cool weather but can also take some heat. Osteospermum is a genus belonging to the Calenduleae, one of the smaller tribes of the sunflower family (Asteraceae). 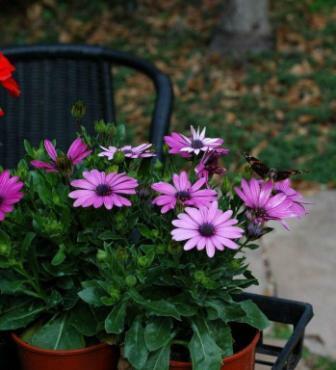 It used to belong to the genus Dimorphotheca, but only the annual species remain in this genus. 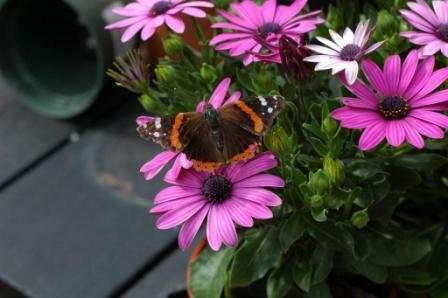 The perennials belong to Osteospermum. The genus Osteospermum is also closely related to the small genus Chrysanthemoides, such as C. incana and C. monilifera.